DeathMatch on a mini Space Station! Description             : DeathMatch on a mini Space Station! 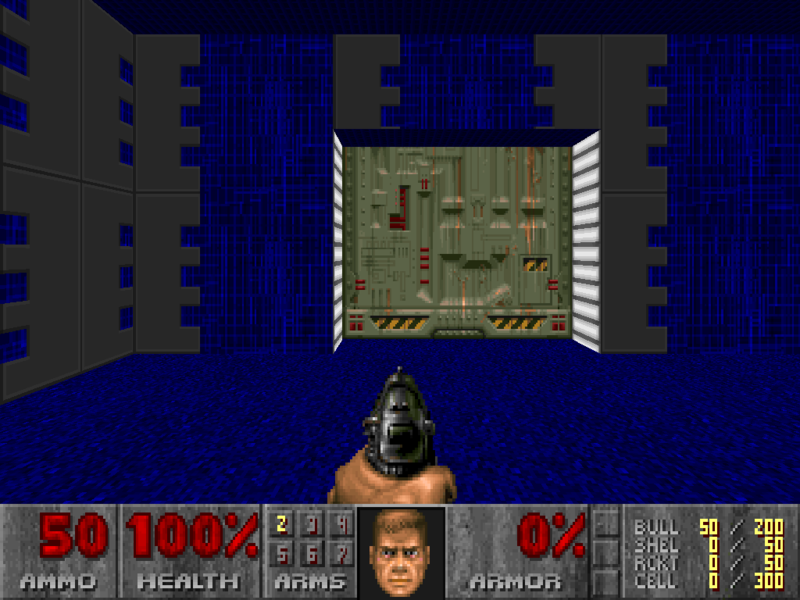 The level takes place in a small Space Station out in the middle of nowhere. I have included a few new graphics and a few new sounds to add to the mood. changed the Windows to replace TEKWALL4. Build Time              : About 6-8 Hours. If this is your first time using a PWAD Level I will try and help you out. Once DOOM has started proceed to episode 1 level 2 to see this new level. the command line as above. README.EXE that comes with DOOM. Hope you enjoy it, feel free to alter it!